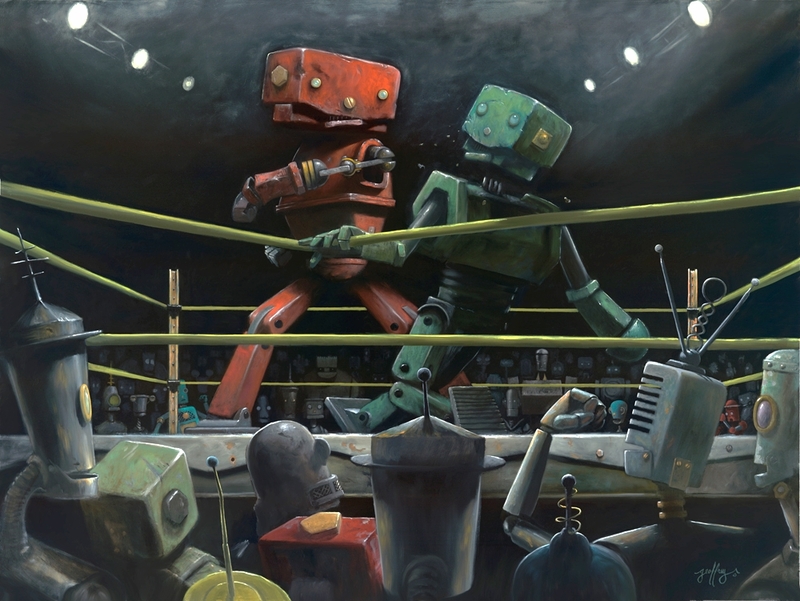 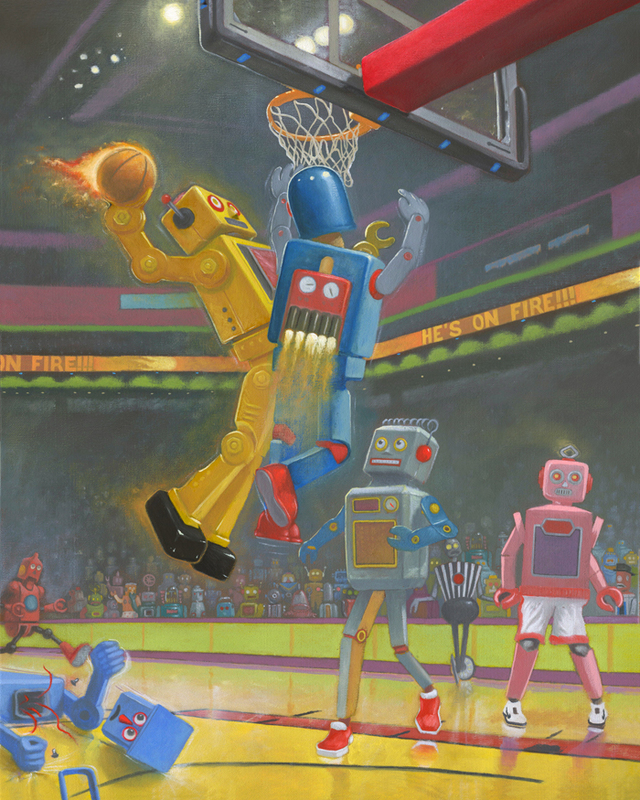 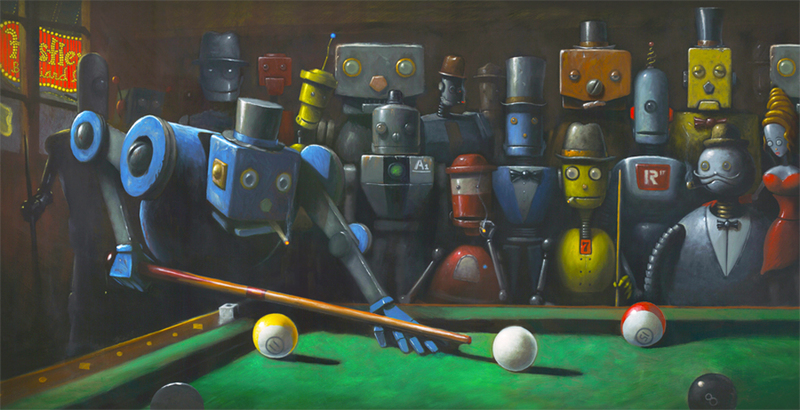 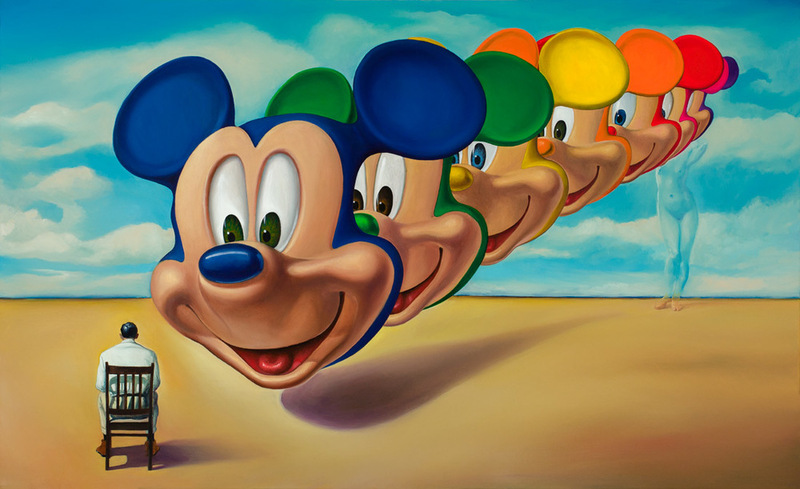 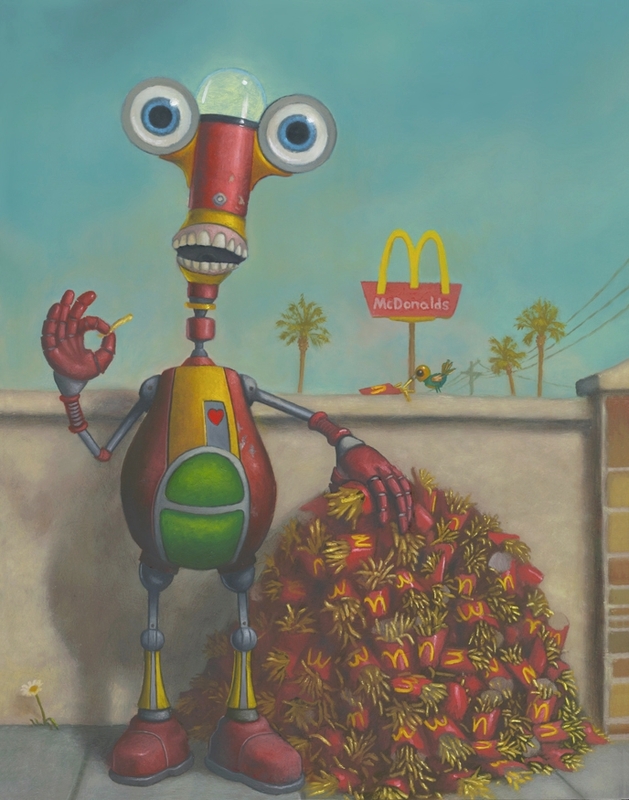 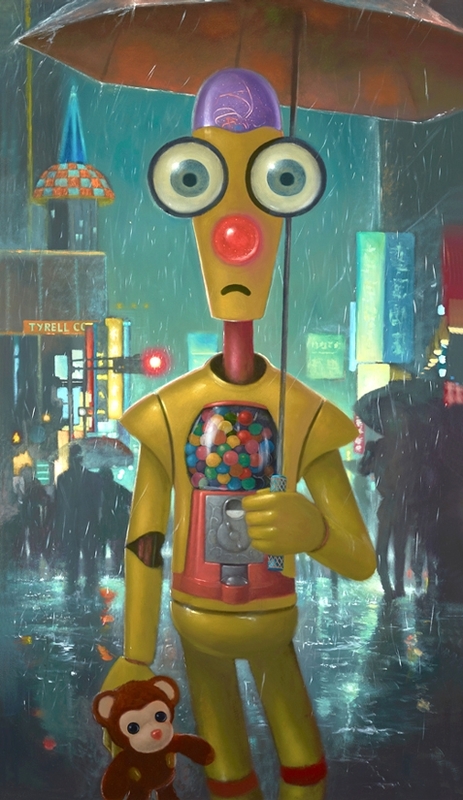 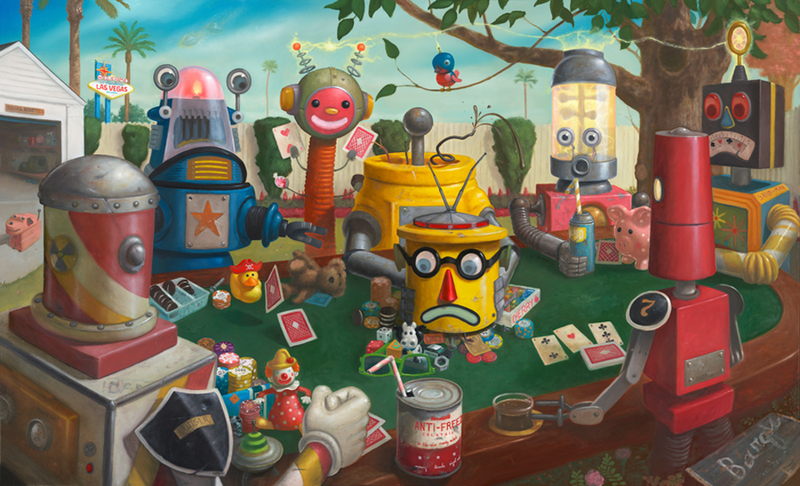 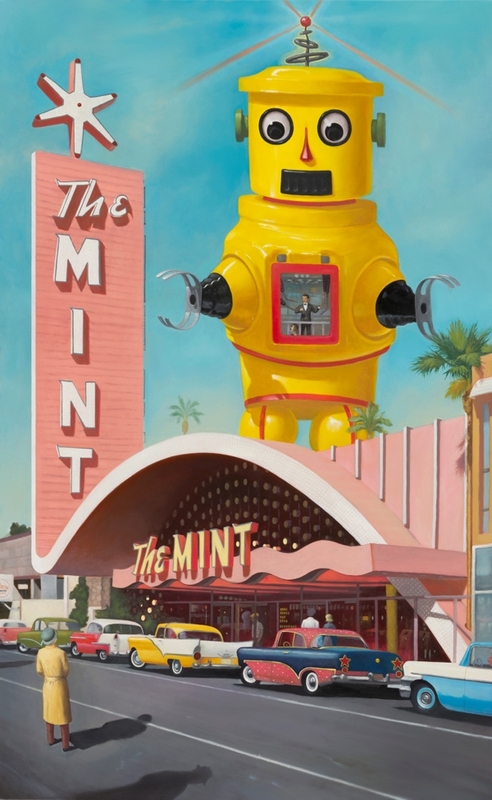 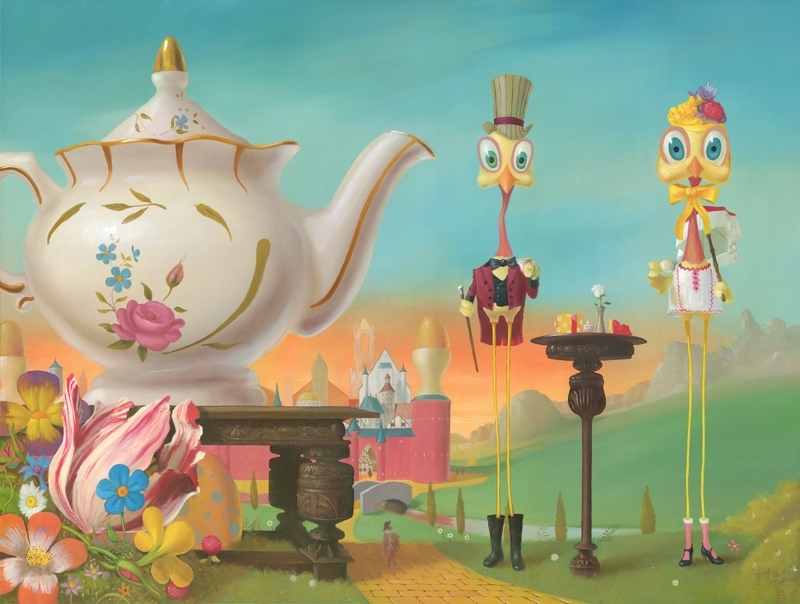 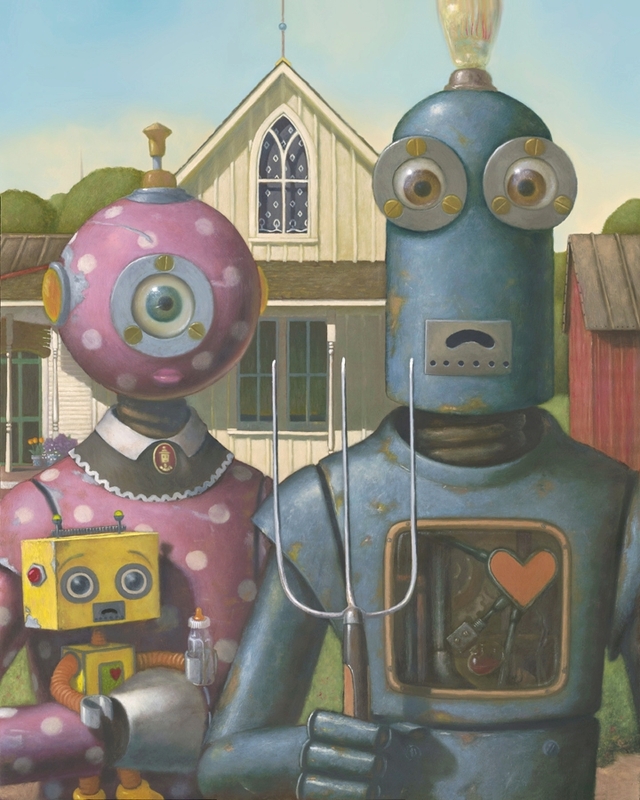 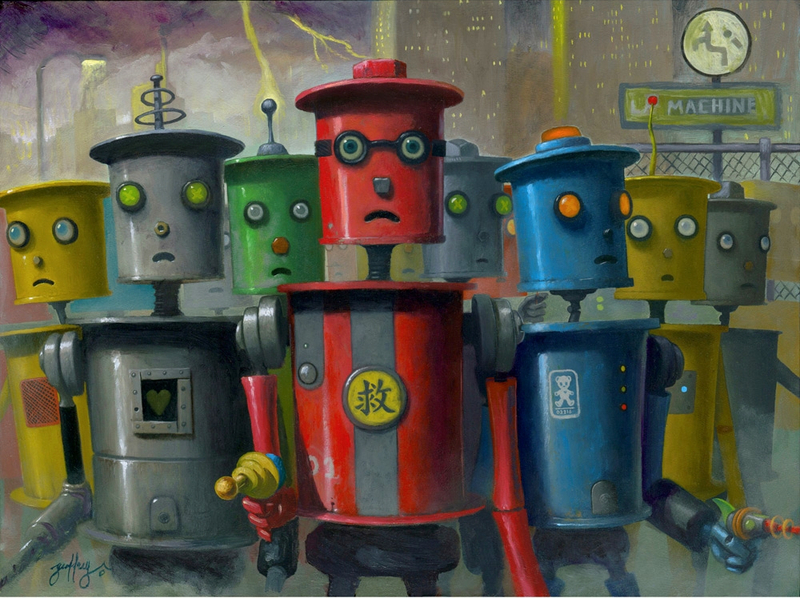 American Painter Geoffrey Gersten is influenced by the Old Masters of the Dutch Golden Age and by subject varying from art, movies, politics and surreal worlds. 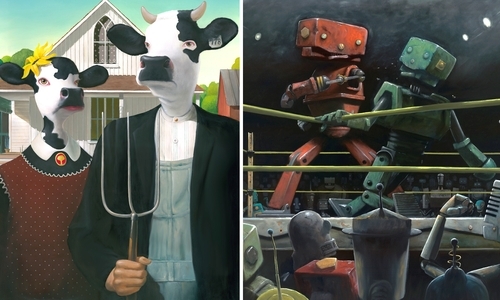 We have brought together a selection of the various themes below, hope you enjoy them and see the meaning behind them, if not the artist's, then your own. 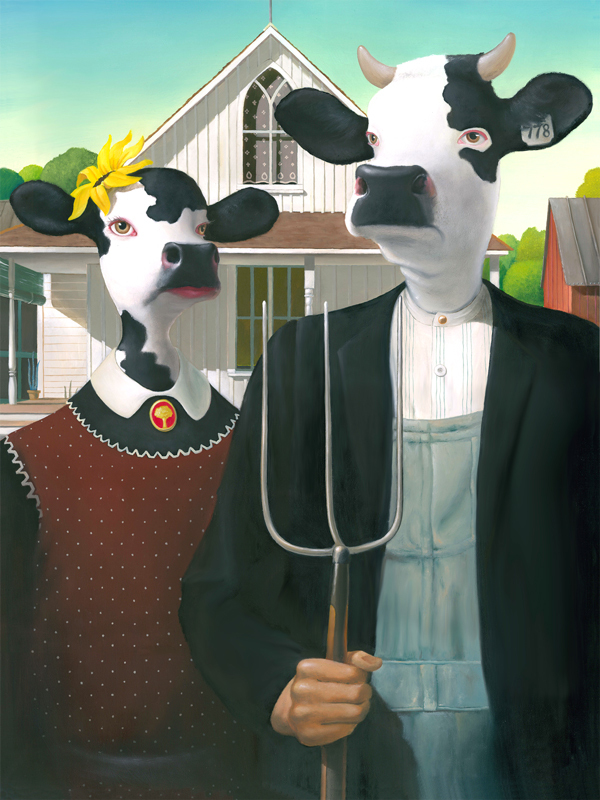 Real Name: American Gothic by Grant Wood. 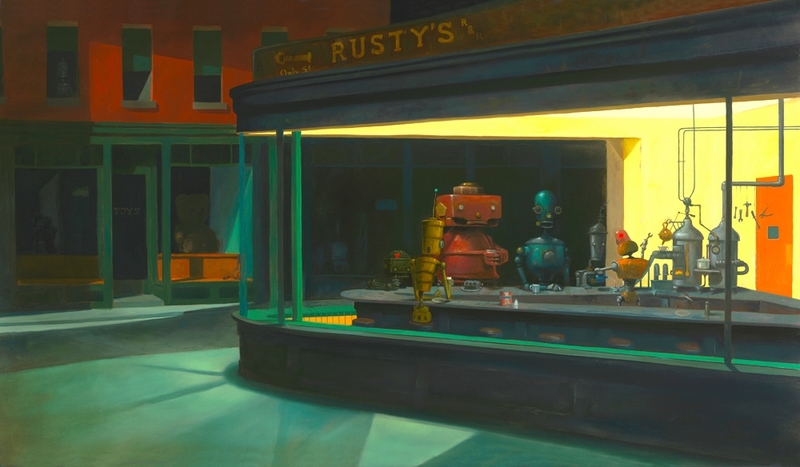 Original Painting by Edward Hopper. 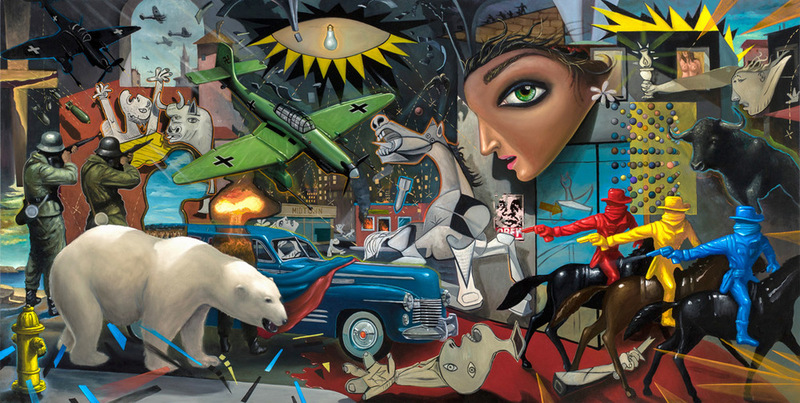 MK Ultra Guernica 2 Good.